[Updated] Minister of Health, Seniors and Environment Jeanne Atherden addressed the Health Strategy Symposium 2016 held at the Bermuda Underwater Exploration Institute today [Jan 16], presenting the Ministry’s strategic vision for healthcare reform – the Bermuda Health Strategy 2014 – 2019 and The Bermuda Health Action Plan. 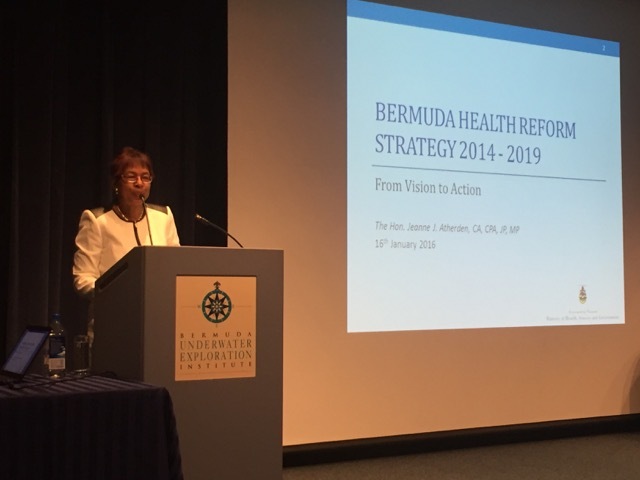 Introducing the Ministry’s vision for healthcare in Bermuda, Minister Atherden said, “The vision of the Bermuda Health Strategy is simple: “Healthy People in Healthy Communities”. And its aim is to ensure Bermuda has quality healthcare that is accessible, affordable and sustainable. “The problems we have today are just bigger, more expensive versions of the problems that plagued us 20 years ago. “Our health system is too big, too complex and too important for us to falter for another 20 years. This time we’re doing it differently. The Symposium was organized as a joint venture between the Ministry of Health, Seniors and Environment and the Bermuda Health Council. It is a pleasure to be here today to formally introduce my Ministry’s vision for healthcare in Bermuda. This is a significant milestone, which I’m delighted to bring forward as this vision is the bedrock and genesis of any reforms the health system is to undertake over the next five years. However, today is not about visions, but about action. 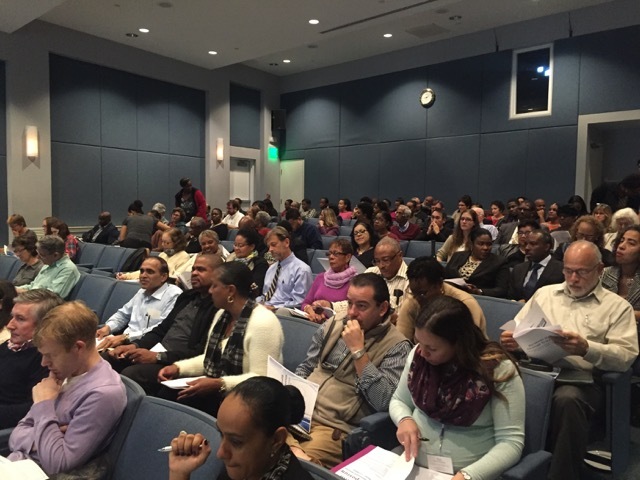 In fact, you will see that the agenda is dedicated almost exclusively to the Bermuda Health Action Plan and to discussing how the Ministry and its partners are implementing initiatives to achieve the goals for health. Importantly, we will also be discussing what more we can all do together – and individually – to realize the goals. So, even though today is about action, please indulge me for a few moments, so I can give context to that action by explaining the vision and how we intend to drive it forward. The vision of the Bermuda Health Strategy is simple: “Healthy People in Healthy Communities”. And its aim is to ensure Bermuda has quality healthcare that is accessible, affordable and sustainable. I will start by acknowledging that there is no perfect formula for health system reform. In 1993 the Oughton report was commissioned, taking three years and massive effort and collaboration to complete. In 1996 the 300-page report was completed to excellent standard with detailed analyses and 104 recommendations. Following the Oughton report, in 1998 the Arthur Andersen report was commissioned to review the recommendations and condensed them into seven broad areas. But then, from about 2001 onwards, the reports largely sat on shelves. Indeed, we have too many reports sitting on shelves. These works represent a huge resource investment in health reform, but they were unable to bring about change. And, as a result, the problems we have today are just bigger, more expensive versions of the problems that plagued us 20 years ago. We cannot repeat this scenario. Ever. For these reasons this time we’re taking a different approach. Our health system is too big, too complex and too important for us to falter for another 20 years. This time we’re doing it differently. My next concession is that doing things ‘differently’ can sometimes ruffle feathers. But while the approach I’m driving may not fit the box of today’s trends, I believe it is the innovative approach necessary to drive real, meaningful change that will bring about the improvements we all want to see. Because, ultimately, I believe most of us in this room today – indeed, most people in Bermuda – want pretty much the same things of our health system. We want good quality healthcare that is accessible and affordable. Today is about describing what that looks like and discussing how we’re going to get there. Lastly, the final point I’d like to make before getting into the content of the health strategy, is that, as a vision document, it sets out the high-level goals we want to achieve over five years. However, the detail about how to achieve these goals has been intentionally parcelled out, in order to manage and expedite the rollout of implementation plans. As such, the strategy sets out the vision, core values and goals; and it will be accompanied by multiple, separate Action Plans that will set out specific objectives and timelines to achieve the goals. One such Action Plan has already been shared with you and will be the primary focus of today’s deliberations. This approach enables us to press ahead with strategic initiatives and reforms that are urgent, ripe and ready to roll, rather than waiting for the full suite of ideas to be developed. It also enables us to incorporate new, fresh ideas as they emerge from the grassroots, and as evidence evolves. This approach enables flexibility and swift action so we can start seeing change sooner. Indeed, I hope you will see today that we are already seeing positive changes, such as smarter benefit design and greenshoots of cost containment that will soon translate to premiums. This approach has been criticized as too aspirational or visionary. But I take that as a compliment. I take pride in visionary innovation. (smile). But seriously, I do understand some folks’ ambivalence about not seeing a report with 100% of specific initiatives that will achieve 100% of the strategic goals by next year. But I remind you of the Oughton and Arthur Anderson’s reports’ beautiful hundreds of pages with targets and dates that brought us so little change. Instead, today we are bringing you action. Multi-disciplinary action, implemented across many areas, with the promise of even broader participation and further reach and impact. With all of it aligning to a single vision for the health system. A vision created by the health reform strategy. But that’s enough about the background. Let me now tell you about the strategy itself. We have based the vision for health system reform on past reports and analyses since the Oughton Report; on current day situational analyses and strategies like the National Health Accounts and Health in Review Report; and on extensive international experience of what works, in particular the World Health Organization’s Strategy for Access to Health and Health Coverage. As such, the health reform strategy I bring you today builds upon the work done by the six Task Groups under the National Health Plan, and presents reforms to achieve fourteen health sector goals. I think you will all find that some parts of the Bermuda Health Strategy mirror the former National Health Plan as the issues previously identified have not gone away and the comments are still relevant. As I said above, the health reform strategy doesn’t have all the details or all the answers. Rather, it is an umbrella strategy that embraces numerous other strategies targeting specific health sector areas, such as Well Bermuda for health promotion, BHB’s modernization plan, the Mental Health Plan, the BMDA cost containment proposals, etc. But the coordinating vision is provided by the Bermuda Health Strategy. So what is the Bermuda Health Strategy trying to achieve? Simply stated: it aims to achieve health reform. It is re-setting the dial to change the way we provide, pay for and use health services so we get better quality and better value. We all want and deserve that. Why are we doing this? Because, as I think you all know, our health system is unsustainable. Health costs need to be brought under control fully, premiums need to be affordable, chronic diseases need to be managed better to keep people healthy and avoid further costs, and we need to use health services responsibly, in ways that give good value not just more volume. To make our health system sustainable, a lot is going to have to change, and every resident of this island will have a part to play. So, the $700 million dollar questions are: How are we going to achieve this, how much is it going to cost, and who is going to pay for it? The reforms are going to be paid for by the same people who pay now: all of us. That’s the basics. To go into a bit more detail, we have to focus on what the strategy is trying to achieve. The vision of the Bermuda Health Strategy is: “Healthy People in Healthy Communities”. That’s the most important bottom line: the health of our people. And it’s the most important aspect because we need people in good health so they can enjoy a good quality of life, so they can be economically productive members of society, and so they can raise the next generation and care for the elders among us. I always remind my colleagues and anyone I speak to that health is fundamental to the core of any community, because sick people can’t work, sick children can learn, sick teachers can’t teach, and sick people require a tremendous resource investment that should be the exception, not the rule. This is why health is so vital to Bermuda’s prosperity, and why “Healthy People in Healthy Communities” is my vision for this Strategy. As such, the mission of the Strategy is: “To provide affordable and sustainable healthcare for all Bermuda residents”. This mission builds on the fact that we already have a strategy to promote healthy living in “Well Bermuda”, which I think most of you are aware of. The health reform strategy deals with the other aspects of keeping people healthy through access to quality care. Sustainability is about having affordable spending levels, financed by the most cost-effective mechanisms. The three core values are all important, but I have to stress that quality is probably the single most significant one. This is because we know that good quality care is the most cost-effective care. Good quality care doesn’t delay access, doesn’t over-treat, but it provides care in the right setting and engages patients in decisions to manage their own care. Good quality care results in good health outcomes, and this, ultimately, is cheaper for all of us. So quality touches on the other core values and on the overall mission. So, as I hope you can see, the Strategy is proposing high-level goals and the next step is how to achieve them. 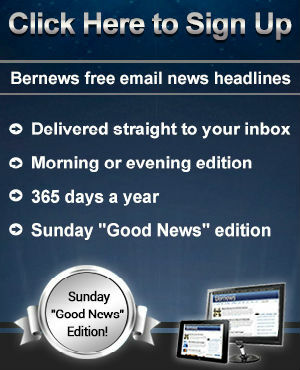 This is where the Bermuda Health Action Plan comes in, as well as plans yet to be developed. Some are in draft form from previous task groups’ work; and others will begin to emerge from the discussions today. The basic premise to keep in mind is that the reforms needed are quite extensive and far reaching, so detailed action plans have to be tailored to each goal or set of goals. To this end, the Bermuda Health Action Plan focuses primarily on quality which, as I said, is fundamental to everything else. We’re going to hear much more detail about the Action Plan in the morning’s speakers, so I’d like to focus instead on how implementation is going to work. The Bermuda Health Council has been tasked with coordinating the implementation of the Strategy on behalf of my Ministry. The Council is well positioned to collaborate with stakeholders and key partners to develop further action plans and coordinate their development, and they will play a key role in driving the Strategy under my direction. Lead Agencies will be identified publicly to develop and implement action plans to achieve the fourteen goals. And each of those Lead Agencies will consult with relevant stakeholders to develop action plans and execute them successfully. The slide behind me shows the basic governance infrastructure, and more will be developed in the months to come. I personally commit to keeping stakeholders and the public informed of developments. We will use a variety of traditional and social media avenues to keep you abreast of changes and give opportunities for feedback. And, at least twice a year, I will be sure to make a public statement reporting on progress. I am committed that this Strategy and Action Plan will make a positive difference to access and quality of care, and that it will be felt as early as this year. But I have spoken for a long time, and I know that ultimately we all want to get on with the action. So, on that note, I will step aside to hear the next set of speakers, who will share with you how we are implementing strategic initiatives already. And I very much look forward to the last part of today: the discussion, with your input into what more we need to do and how we can develop further reforms based on your experience and feedback. out of all that was said! nothing was said! and since when does the health care cost 600 plus million yearly? If you read the annual health spending reports by bhec, you’ll see that yes, as an entire country we spend over $600 million a year on health care services. well if you agree with that? then you are not doing your math correctly I am saying what the government is spending yearly and that should not include what personal spending or insurance claims, in their cost and spend audit it’s deceiving. and further more why does the government pay the ins a big amount of cash for every senior working or not but over 65 when they already pay 80 per cent of the hospital and on top the senior still has to pay a hefty premium . so example a senior gets a pension of 100 per month pays 50 of that for health ins and then the gov turn around and pays the ins com 100 per month for the senior ins subsidy as well as 80 per cent of hospital benefits so the ins is only going to pay for 20 per cent would it not be cheaper to have free health care for senior and do away with ins subsidy . Zane was the best at this…. Point blank…. He got it done! That’s not your insurance company. Maternity leave is an employment benefit provided by your employer and it sounds like you have a very generous employer. An American perspective, perhaps? 3 months paid is not “a good deal” in the global scheme of things. It is mediocre – as we generally are with most thing healthcare-related. the PLP left is with 2 billion in debt? IB still shrinking because of the PLP and? no growth to give us larger GDP etc and wider pool of people to pay insurance premiums or be taxed? When all is said and done. More is said than done! Lower your c-section rate. It is unnecessarily high. What is the C-Section rate? And yet again no mention as to the publication of the FOUR years of outstanding Bermuda Hospitals Board Audited Financials and more importantly no revelation of those BHB Executive Salaries for which the Bermuda Hospitals Act calls for …shall be made known annually. If those top five Executive salaries were reduced by $100,000 each- the Ministers statement would at least include some cheers! and those concerned could wave their smart suits, Gucci handbags and living luxuries somewhat! “Healthy People in Healthy Communities” is a cute little jingle but not a vision statement. A vision statement needs to be more specific, such as: The Ministry’s Vision is: ‘Creating sustainable, innovative, cost sensitive, accessible health and wellness solutions that lead to improved, healthier lives for all residents of Bermuda.”..